The book titles above are links to reviews, as I’ve become a big fan of this series and have reviewed all the previous books. I’d recommend skipping this review if you do not want any events from any of the previous books in this series spoiled. If you are starting with reading about the first book, I’d like to add that the series does keep getting better, and books 4-6 are particularly wonderful! There are at least ten October Daye books planned. The next book in the series, The Winter Long, is scheduled for release in September 2014 with the next two to follow in September 2015 and September 2016. Concerned about the increasing availability of goblin fruit on the streets, Toby investigates the situation and learns that at least a dozen changelings have died after partaking of the faerie drug. Toby determines to put a stop to the deaths and feels that the best way to accomplish this goal is to tell the Queen of the Mists about the deaths of her people—even though the Queen hates Toby and may not listen to her concerns for that reason alone. The Queen is quick to dismiss Toby’s wish that something be done about the changelings dying from goblin fruit, as she believes those foolish enough to do so are getting what they deserve and Faerie is better off without them. When Toby continues to plea that she reconsider, the Queen loses her temper and banishes Toby from the Kingdom for her insolence. She gives Toby three days to leave. Devastated, Toby goes to the Luidaeg in case the sea witch has some knowledge that can help her find a way to remain in the Mists. While the Luidaeg is not able to tell her the details, Toby is at least able to ask the question that points her in the right direction: to the history of the Mists and the suspicious circumstances surrounding the Queen’s ascension to her throne. There may be an heir with a legitimate claim to the throne who remains in hiding, but can Toby learn the truth—and find the heir and overthrow the Queen if this claim is true— before her time is up? 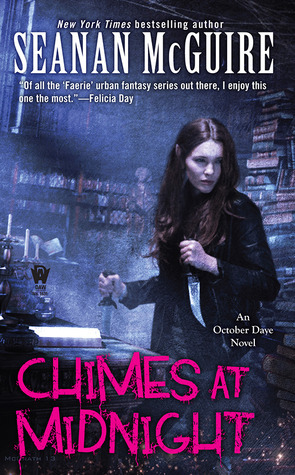 It was with some trepidation that I started Chimes at Midnight even though October Daye has become one of my favorite urban fantasy series. Since the books in this series have been getting better and better, I was worried that it would be difficult for book seven to live up to my expectations. However, I need not have worried: I enjoyed Chimes at Midnight very much. It’s not my favorite book in the series for reasons I’ll explain later, but it has all the great qualities that made me love these books—interesting characters, a sense of humor, and a distinct lack of dull moments. One of the reasons I keep reading these books is Toby herself. She has amazing heart and spirit despite all the difficult situations she’s been in throughout the series. That’s not to say she hasn’t struggled (she was certainly in a bad place at the beginning of the last book), but she has a strong drive to help others and she doesn’t give up. When she sees the changelings endangered, she does what’s necessary to try to help them even though going to see the Queen is pretty close to the top of her list of things she’d least like to do. Even after being banished by the Queen (and going through many other things I won’t recount to avoid spoilers), she keeps moving toward her goals. No matter how dark things get (and they do get pretty dark), her narrative and her sense of humor make me smile. It was also a treat to see her and Tybalt together (finally!) and see how happy they were together before everything went wrong, but even after things became difficult they were adorable together. As much as I love Toby, there are occasions where she is unbelievably dense, and this book did have one of those moments where her failure to notice the obvious struck me as unreal. When the Luidaeg gave Toby instructions to ask people about the previous king, she had Quentin and Tybalt fill her in on the history. The whole affair surrounding how the Queen of the Mists showed up out of the blue claiming to be the King’s daughter sounded incredibly suspicious, yet Toby seemed shocked when someone claimed she was not actually his daughter. Of course, Toby’s rather distracted with her worries about being banished and she’s probably not had much cause to think about it before since she wasn’t alive when the Queen took the throne, but it still seemed very unrealistic to me that she couldn’t put two and two together after being told that story—especially considering she had an ability that should have made her particularly wary of this claim. As mentioned, this book was very dark at times, yet it manages to be fun in spite of that. There’s a magical Library, which while not uncommon, appeals to the reading geek in me. 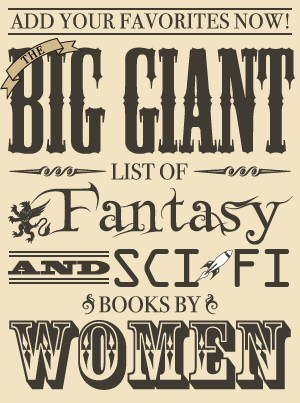 Plus there is an invisible bookstore! I also enjoyed learning a little more about Faerie and its history. Chimes at Midnight did seem to me a bit more like a stand alone volume than some of the previous books in the series, and I think that’s why I didn’t like it quite as much as some of the other books in the series. It certainly has familiar characters and references past events, and it also seemed to me to be hinting toward next volumes (and perhaps learning more about Amandine, but maybe that is wishful thinking on my part!). While a lot happened in Chimes at Midnight, it wasn’t quite as memorable or earth-shattering to me as events in the last three books. Late Eclipses followed up on information from previous installments to reveal that Toby’s mother was a Firstborn and Toby was actually a completely different and new Fae. One Salt Sea had a heartbreaking ending with both Toby’s daughter and Connor leaving her life forever in different ways. And, of course, there was much rejoicing when Toby and Tybalt finally got together in Ashes of Honor. While each book does have a basic plot of its own, I did think this one had less payoff for long-term readers than the last few installments. That’s not necessarily a bad thing and I have a suspicion this book may have set events in motion for future books; I just tend to prefer stories that have threads that carry over from book to book or events I’ve been waiting/hoping for. While it is not my favorite installment in the October Daye series since I didn’t feel that it advanced Toby’s story much despite some pretty major events or contained any surprising revelations, I had a great time reading Chimes at Midnight. It’s entertaining with some interesting tidbits about Faerie, fun adventures that kept me turning the pages, and a main character whose heart and sense of humor I continue to love. Where I got my reading copy: ARC from the author/publisher.